If you have kids, the impulse to document every instant of their waking lives is nearly as powerful as the impulse to feed and shelter them. I’ll help you find the perfect camera to freeze those priceless moments. If you’re reading this article, you’ve probably already come to the same conclusion I did: Smartphone cameras don’t always have the chops for capturing the kineticism of your kids. Children are notoriously difficult subjects to photograph, mostly because they’re constantly in motion. Try getting a two-year-old to sit still and smile. Not easy, right? (And those pictures are boring anyhow.) What you need is a camera that allows you to easily capture what’s moving. When it comes to getting tack-sharp photos of your kids, you want the fastest autofocus you can get. Low-light ability is important because kids spend a lot of time inside the house—especially babies. And let’s not forget ease of use. It’s vastly important that your camera not confuse the hell out of you while you’re fumbling to snap a key moment. And of course, you want a camera that takes fantastic pictures. 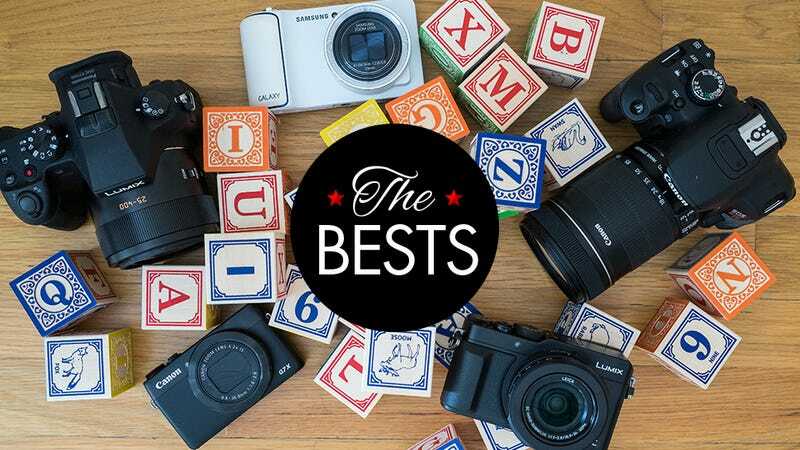 I looked for cameras that could hold onto their subjects decently, maintain good quality in poor light, and be less likely than most to leave you an annoyed stress-case. I only considered cameras with far larger sensors than you’ll find in a smartphone, which is the biggest factor in determining image quality. I didn’t really consider sharing and connectivity, because cameras are stuck in a netherworld where nobody has figured out how to make sharing easy and fun. Wi-Fi and NFC are more or less standard on new cameras, and they all work much the same. Then, it was simply a matter of separating the good from the great. Another thing I appreciated is that you can make the LX100 completely silent by enabling its electronic shutter. I liked not feeling like I was clicking loud and repeatedly in my daughter’s face. Most older cameras (and all DSLRs) have a mechanical shutter whose noise which can be annoying for everyone involved. The LX100 did everything else pretty well. It held focus in most lighting conditions, with a face recognition and tracking system that held onto my daughter’s eyes as she moved around. Here’s a comparison of the LX100 with my iPhone 6 camera. The biggest things to notice are the blurred background you can achieve because of the LX100’s great lens and larger sensor, also the smoother details when you enlarge the image. I liked being able to shoot 4K video with theLX100. 4K is the future standard for video resolution, so it’s great knowing that when I show my home videos to my daughter when she is older, they won’t seem so ancient. In general, I always felt like the LX100 was the most versatile camera to have on me. Its controls are easy-ish to figure out, and you won’t be let down by slow focusing. Not a cheap camera by any means, but it’s the right balance of size and performance. My biggest knock against the LX100 is that the flash is something you have to attach, rather than being built into the body. One of the drawbacks to small cameras is that the lenses don’t usually have a lot of reach. The $900 FZ1000 is more the size of a DSLR, but it makes up for that weakness with a long, long lens. It has a smaller sensor than the LX100, so images don’t sing quite as much, but they are still really good. The zoom goes from 25mm, allowing me to easily shoot in a small, crowded space, up to 400mm which is positively delightful for honing in on a face from clear across a soccer field. If your kids play sports or perform on stage, this will be invaluable. When testing this camera, I was really wowed by how much the extra range increased what I could even consider shooting. The autofocus is great—nice and snappy, even when filming. Speaking of that, the FZ1000 would also be my pick for Best Camera to Film Your Kids. Like the LX100, it also shoots in 4K resolution, but with a built-in stabilizer that makes shooting at long range possible without severe jitters. The flip-out screen is great for video as well. It’s not pocketable like the LX100, but the zoom is incredible. I labored over whether to include this as a Best, because it’s large, heavy, difficult to learn, and expensive. That said, the $2150 7D Mark II is—hands down—one of the best cameras you can buy for honing in on moving subjects. Just like kids! All our smaller, more practical picks perform great, but when it comes to focus speed and accuracy, nothing beats a really powerful DSLR. When shooting with it, I was always hyper-aware of the subtle and rapid movements it was making to keep my daughter in focus. Honestly, it’s probably overkill to invest in this camera purely for family pics, but if you have high photographic ambitions and deep pockets, it’s worth considering, especially if you shoot a lot of sporting events. The big downside is size and weight. Every time I wanted to go outside with this camera, I needed to stow it in a camera bag, which is a pain when you’re also wrestling with a stroller and diaper bag. This is the only high-end compact that can comfortably fit in a normal men’s-sized pants pocket. As much as I loved the small size of the LX100, you still need a larger jacket pocket to house it. Even the Sony RX100 is bulky. 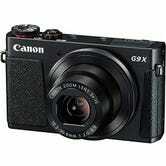 The G9X is super slim. It’s got a larger sensor than the traditional compacts that people are replacing with smartphones, which means good image quality and low-light performance. There are almost no physical controls, but I loved the touch-screen interface, which made settings always easy to access. The biggest downside of the size is that the display does not tilt. It also has less zoom than most other high-end compacts. The G9X’s autofocus feels OK for single shots, but it doesn’t come close to a DSLR or high-end mirrorless camera for tracking motion. Still, a good camera that fits in my pocket is a godsend. This is about as cheap as you’re gonna find a camera with a good sensor and lens. The first version of Sony’s RX100 lacks the 4K video, electronic viewfinder, and super-fast focusing of the latest Mark IV. But it also lacks this steep price tag. 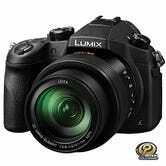 It’s small and takes great pics, and for the price, will serve you well. The G1X came close to matching the LX100, but my images simply weren’t as good. It focused slower and produced lackluster video as well. It does have advantages like longer zoom, built-in flash, and a flip-out touchscreen for getting tough angles. Video is pretty bad too. 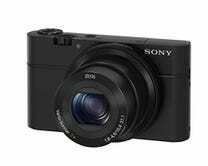 The Sony RX100 series used to be the only kid on the block to offer pocketability and terrific image quality. But the very similar Canon G7X provides slightly better zoom reach, slightly better ergonomics, and is slightly easier to use. The latest RX100 version has killer 4K video and focuses better than the Canon, but it is very expensive at $1000. Despite being insanely popular and solid performers in their own right, I don’t think the low-end DSLRs have enough of a performance advantage to justify their size. It’s true, some of my Bests are similar in dimensions, but they all offer significant advantages. With a DSLR, you’d have to buy and attach a huge lens to get the 400mm capability of the Panasonic FZ1000, for instance. I really love these mirrorless cameras, but the current three models (EM-1, EM-5, EM-10) are pricey and only shine if you invest in quality lenses. Also, their controls are geared toward enthusiasts. The LX100 has similar image quality in a smaller, easier package. The pioneer of high-end long range cameras, the RX10 has much less zoom range at 200mm vs 400mm on the FZ1000. However, for a price, the RX100 Mark II shoots incredible quality video. Photographers love Fujifilm’s stylish and high performance series of mirrorless cameras (X-Pro1, X-E2, X-T1, X-M1). They definitely provide high end features, but are really expensive and not so easy to operate for non-camera geeks. Plus, you need lenses. The GH4 is a darling of filmmakers, mostly because its 4K video is better than that of any of the cameras I picked. The stills are also great, but not much greater than the LX100. The biggest knock is a $1700 price and reliance on expensive add-on lenses. With Android and a data plan, you can share your photos to Facebook straight from this camera-phone. But it doesn’t feel natural and easy to use, and I found it slow. The small sensor doesn’t provide a huge quality improvement over a good phone. A traditional “super-zoom” consumer camera. It has a great long zoom reach and is on the small side, but I counted it out because the small sensor size means low quality pictures. Also, focusing was sluggish compared to more premium devices. This camera performs well in all arenas. It’s a terrific one actually, but it just failed to stand out for any specific parent-geared reason. Its biggest strength is focusing, which is best in class for a camera this small with a large sensor. 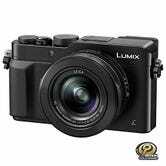 But the LX100 has better video and is more convenient to carry around. I liked the NX30, but didn’t really love anything in particular about it. Image quality was fine, focusing was mediocre. 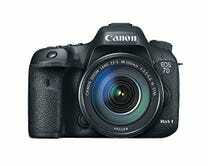 It’s a capable camera, and its biggest asset is an easy to figure out menu and control scheme. Other than that, it just doesn’t stand out. Point and shoots like these were super popular until smartphone cameras took over. They have small sensors which don’t provide a significant enough quality advantage to justify the investment. The only thing that makes the NX300 stand out is its fashion-forward design. Really it’s a middle-of-the-road camera with nothing to get too excited about. When it comes to cameras, the right choice is always performance over looks.